The RZ Display IT – HMI Solution Kit family of microprocessors includes MicroEJ. Specifically designed for embedded HMI applications, the RZ Microprocessor family includes up to 10MB of embedded RAM so that you don’t need external RAM for video buffers. It drives excellent screen performances and makes your designs much easier, simpler, and cost effective. The RZ/A1 also includes the standard connectivity that you can expect to find on an HMI: CAN, USB, and Ethernet. 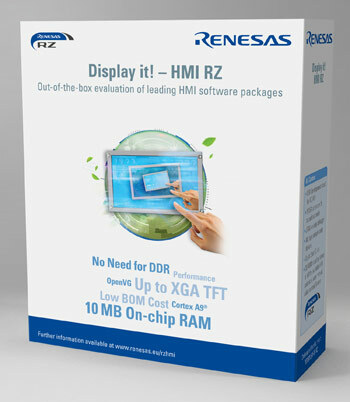 The RZ Display IT – HMI Solution Kit is the result of a strong collaboration between Renesas and IS2T, already started on the Renesas RX family of products. It includes everything you need to start your HMI development: the RZ development board with a WVGA screen, compiler, debugger, and MicroEJ, the industry’s smallest and fastest standard development platform built on both C and Java languages. MicroEJ gives you functionalities and tools to design, prototype, test, debug, and deploy your HMI or GUI applications to both Renesas RZ and RX devices. 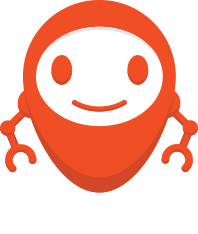 MicroEJ’s integrated prototyping tool enables instant PC simulation that makes it easy for marketing teams, designers, and developers to engage into a more collaborative and iterative work. Additional technical details are available at www.renesas.eu/rzhmi.